Ethical decisions making is the help of making the right decisions in different dilemmas. Everyday people will be faced with a million decisions to be made everyday. Various decisions could range from, what you eat that day or if you should hold your kid back in school, because they are falling behind in class. 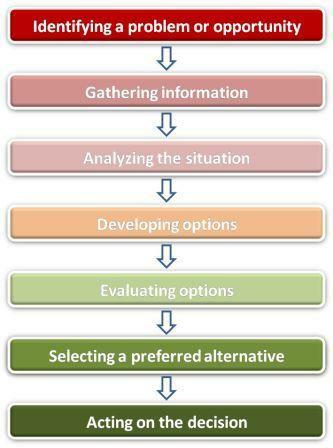 Following the above decision making model can also conceptualize it for many and make it easier. Making ethical decisions can be stressful and hard. To make them a bit easier we can have our own personal ethics codes that we can follow. This is just a set of guidelines and morals that you, yourself follows. Having a personal ethical code will deem it more easier for you to make decisions, because this is your moral stance on issues pertaining to it. We are humans, and like to fall back on something we are loyal and true to. This makes it a tremendously more easy, efficient and fast to come to a decision. 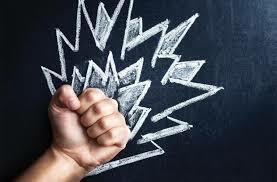 When faced with our professional work environment we must stand our ground and voice our personal convictions on perhaps, doing a certain news story or running a new campaign. We have to ask ourselves, will it hurt other people?, will it be offensive?, and or Am I using the write word usage to refer to someone. These are many questions that we need to figure out. We want to hold ourselves accountable, but also in the workplace as well. Firstly your personal ethical codes should align with the company that you are working for. If they don't then you need to perhaps find a different place of work. Your personal ethical codes are just important and when faced with an ethical dilemma you can turn back to them. In a situation where something in the back of your head tells you that something is not right, it most likely isn't. If you are feeling that a certain campaign or story you are assigned to would lead to consequences you need to trust that it will. Many people do not speak up or are scared to do . This in turns leads to many consequences and as a journalist you must think of the stakeholders involved. The stakeholders could include your own company, other companies in that industry, and the readers. The company you work for should also have ethical codes they follow as a company. Many companies have ethical codes they follow such s the Associated Press and The Washington Post. The Associated Press' ethical code is at states, "the thing it is striving for a truthful, unbiased report of the world's happenings...ethical in the highest degree. "-Source(ap.org) They even go above and beyond as to have an integrity hotline that workers can report a problem too. As a professional in the working world I would want to look for certain things as a worker. My personal ethic codes would be to make sure the company I am working for has a diversified staff, in importance to stories and campaigns and making sure that they are thinking of the stakeholders involved. Along with this the company will also need to make sure they are following the SPJ code of ethics. As a journalist you should have no problem if all these requirements for your personal ethics, the SPJ code of ethics and the company's code of ethics are being brought into question. generally it comes down to doing the right thing and not doing the wrong thing. You will be tested a journalist and your job is to stick up for yourself and others that will be affected. Lastly hold yourself accountable and your company. It might be tough, but someone has to make sure it's being done.